The SIRCONTEC's LCC 66 intermediate floor is designed for civic and housing amenities, whereas its individual load bearing components can be adapted to project requirements thus creating an economically optimum ceiling structure. It is suitable for reconstructions and inserted ceilings because of its low own weight. The LCC 66 structure consists of trapezoidal corrugated metal sheets representing a load bearing structure of the ceiling together with a joist. 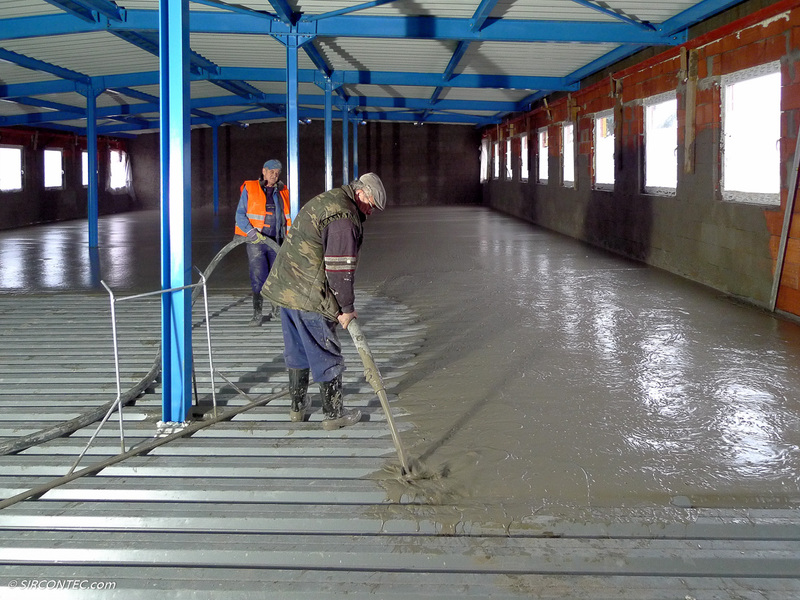 SIRCONTEC foam concrete (CLC) in a PBG 50 modification represents backup and level courses, on which a distribution layer (screed) is applied and this is used as a sub base for a floor wear layer. In reasonable cases, defined by a structural designer, the joist may be omitted in the structure and only the trapezoidal metal sheets of a suitable type will remain as a load bearing structure. If suppression of step noise and noise conducted by air is required, a foam PE spacer is inserted between the level course and mineral fibre acoustic insulation is placed into the lowered ceiling. 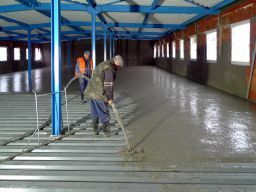 SIRCONTEC may provide materials necessary for design of LCC 66 intermediate floors on request. Detailed information can be found in the Download Documents part. The illustration photos can be seen in the Photo Gallery.